What an adventure! I took a drive to Lost Lake to photograph the Milky Way over Mount Hood. Upon arrival, we ran into some of her friends and set-up for the light show that was coming from the heavens. 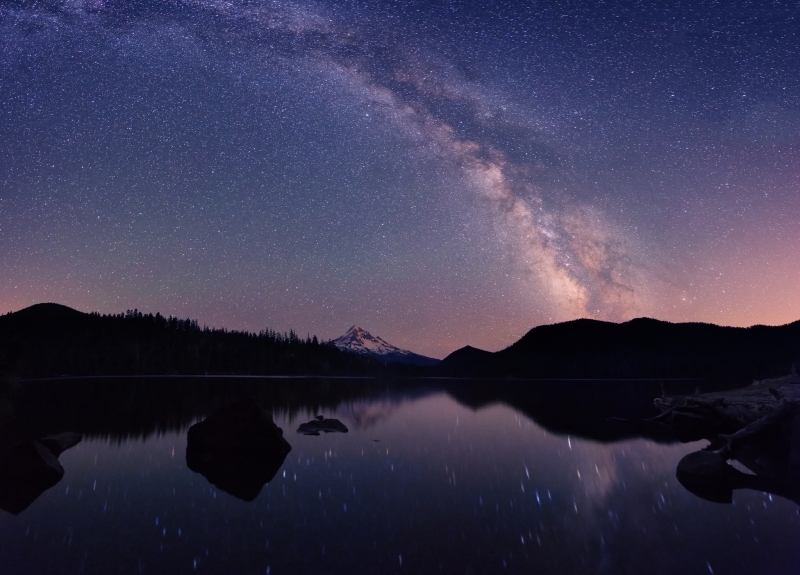 In order to show the scale of this scene, I chose to use 5 vertically oriented photos to create a small panorama which allowed me to showcase the Milky Way over Mount Hood.